If you're lucky enough to be spending time in Vancouver during the holiday season, you'll be delighted by the city's bounty of lights displays, Christmas markets, and concerts. 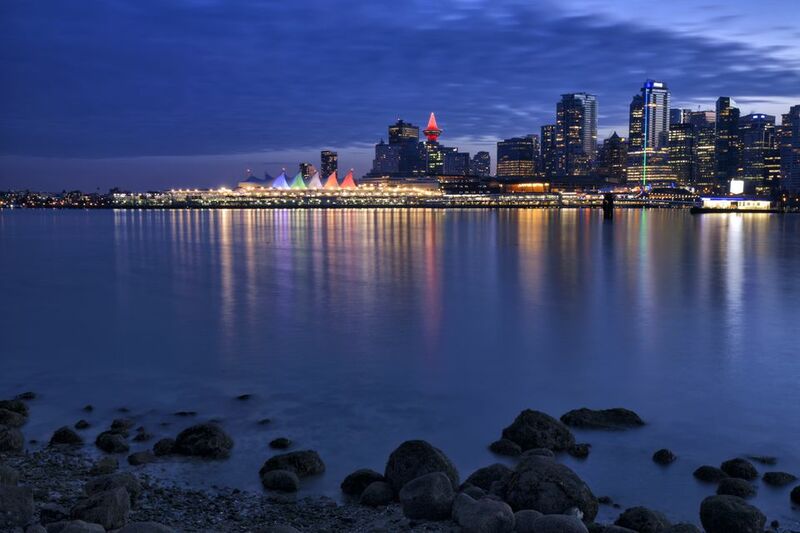 Vancouver's Christmas lights are the city's main holiday attraction, but consider these nine attractions the best "must-sees" of the season. The best Vancouver Christmas attraction for younger kids is fun for the whole family, too. At Stanley Park's Bright Nights, three million twinkly lights transform the forest and the famous miniature train into a winter wonderland. Ride the train, visit Santa, and see the Parade of Trees at this top Vancouver Christmas attraction. Bright Lights is closed on Christmas Day. Grouse Mountain might not be the North Pole, but it sure is a good imitator. Plus, located just 15 minutes north of Vancouver, it's more accessible! This spectacular winter wonderland is complete with outdoor ice skating, sleigh rides, sledding, a light walk, and a gingerbread village. As the only Vancouver Christmas attraction that lasts for one day only, the Rogers Santa Claus Parade has become a bona fide don't-miss holiday event. The parade features more than 60 marching bands, dance troupes, festive floats, and community groups. It attracts hundreds of thousands of spectators along its route through downtown Vancouver. The gorgeous VanDusen Botanical Garden puts on its festive dress for the season with more than a million lights in displays that cover 15 acres of the garden. There are also nightly appearances from Santa, a dancing lights show holiday-themed entertainment, and treats to eat. This spectacular display is closed on Christmas Day. Can it be December without Tchaikovsky's The Nutcracker? Arguably the most famous and beloved ballet of all time. The Nutcracker is a Christmas tradition! Attending a live performance of this classic is a beautiful way to make memories, dress up in your holiday best, and support ballet all at the same time. Each year, it's performed at the Centre in Vancouver for Performing Arts and Ballet BC at the Queen Elizabeth Theatre. Just a quick trip outside of Vancouver and you'll find yourself in a twinkling at Lafarge Lake! This impressive display wraps around the lake, with many of the lights made by members of the surrounding Coquitlam community. Many of the displays use recycled materials, such as soda bottles and milk jugs. The Burnaby Village Museum hosts Heritage Christmas every year, bringing the '20s to life. This free event is essentially an outdoor museum, complete with old-fashioned streets, an antique Vancouver streetcar, and historic buildings such as a school and church. There's even an ice cream parlor and other stores for visitors to check out. The Capilano Suspension Bridge is breathtaking at any time of year, but there's nothing like ringing in the holiday season with Canyon Lights. From Thanksgiving through mid-January each year, the bridge is illuminated with thousands of lights, suspended from the bridge, Treetops Adventure, Cliffwalk, and elsewhere throughout the park. The park is also home to the world’s tallest living Christmas tree, which was 153-feet tall in 2017! You'll instantly be transported to Europe at Vancouver's one-of-a-kind Christmas Market. This beloved holiday tradition features more than 75 different vendors of various sweets, treats, and holiday treasures. Authentic dishes like Gulasch to Handbrot abound, as do delicate German-made Christmas ornaments and twinkling Herrnhut stars, perfect for brightening a festive home for the holiday season.